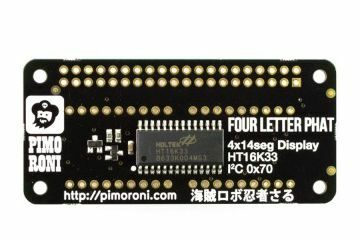 Four Letter pHAT has four 14-segment displays that you can use to display text, numbers, and a host of other characters. Its LEDs are a beautiful retro green, just like you old digital alarm clock. 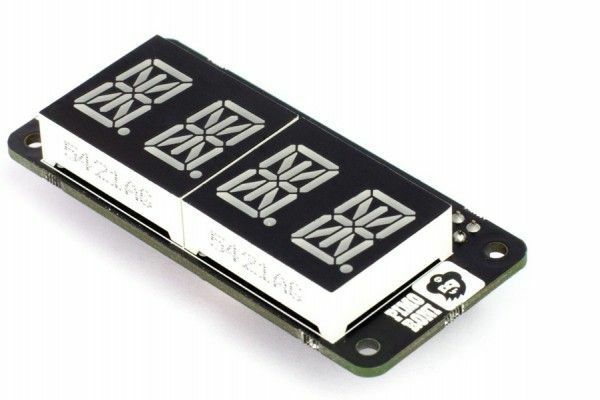 They're driven by the HT16K33 chip over I2C. 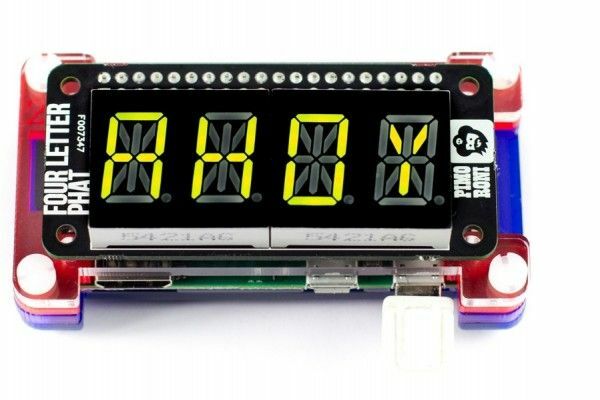 It's perfect as a readout for your projects, displaying temperatures, times, etc. 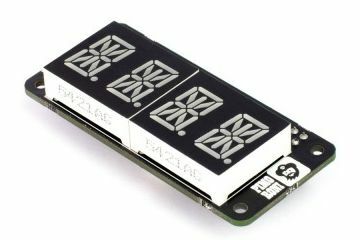 and becomes really useful when combined with some of our other boards like Enviro pHAT or Explorer pHAT to display their sensor values. 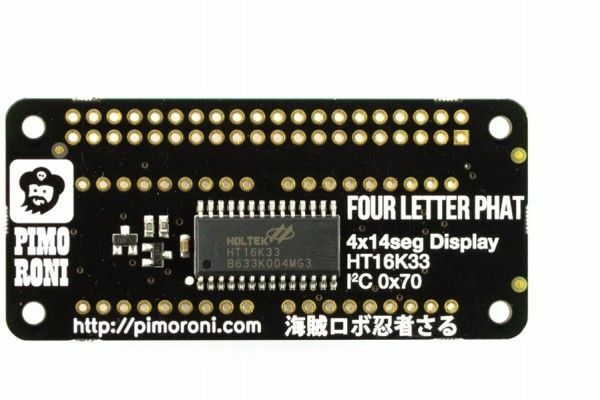 Pimoroni handy one-line installer will install the Four Letter pHAT Python library for you. 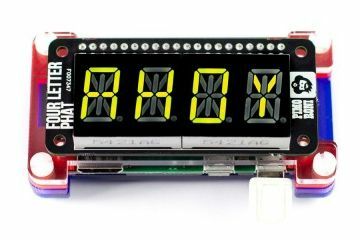 Pimoroni included a bunch of examples too, to show off what you can do with Four Letter pHAT; things like a clock, a countdown timer, or CPU activity monitor.